An infamous beheading incident of 2008 has a new development in 2017. 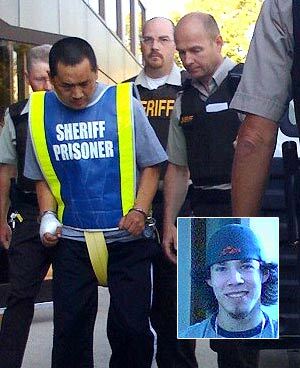 A man identified as Vince Li, a diagnosed schizophrenic, was found not criminally responsible for beheading and cannibalizing Tim McLean, his fellow passenger on a Greyhound bus in 2008. Will Baker, formerly known as Vince Li, has been granted his freedom. Manitoba’s Criminal Code Review Board has given an absolute discharge, meaning he is no longer subject to any conditions. Will Baker leaves the Law Courts building in Winnipeg, after his annual criminal code review board hearing, on February 6, 2017. Windigo can be the hairy hominoid, the cannibal giant, and the psychosis. The three are merging and swirling around in the recent story of the decapitation and eating of flesh on the Canadian Greyhound bus. “Old Yellow Top,” a regional name for a Windigo, the original Forest Giant of cryptozoology, not psychology, drawn by Harry Trumbore in The Field Guide to Bigfoot and Other Mystery Primates. In John Green’s Sasquatch: The Apes Among Us, the British Columbia researcher mentions the Cree in Manitoba call their Sasquatch the Weetekow, and the Saulteaux term them the Wendego. These are variations on the spelling of Windigo seen throughout Canada, but not on the hairy hominoid being described, as I discuss extenstively in Chapter 3, “Native Traditions,” in Bigfoot! The True Story of Apes in America, pages 26-34. The Edmonton ethno-historian is one of the world’s leading experts on Windigo phenomenon, and the recent horrific beheading and alleged cannibalism on a Greyhound bus bound for Winnipeg from Edmonton rocked him to his very core. As the grisly details of Tim McLean’s last moments on Earth came to light in the following days, Carlson sank deeper and deeper into a fog of horror and revulsion. Vince Weiguang Li is accused of abruptly attacking McLean, who by all accounts he didn’t even know — while McLean slept on the bus. On July 20 — just 10 days before the killing — Li delivered copies of the Sun that contained an extensive interview with Carlson about his research into the Windigo, a terrifying creature in native mythology that has a ravenous appetite for human flesh. It could take possession of people and turn them into cannibalistic monsters. 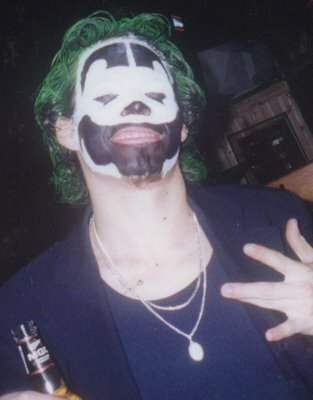 Carlson documented several cases in northern Alberta communities where people believing they were “turning Windigo” would go into convulsions, make terrifying animal sounds and beg their captors to kill them before they started eating people. 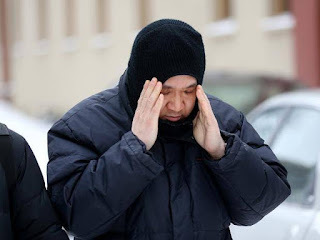 In last month’s bus case, Li allegedly butchered McLean’s body, brandishing the victim’s severed head at the men who trapped him on the bus until police could arrive. He was later accused of eating McLean’s flesh. 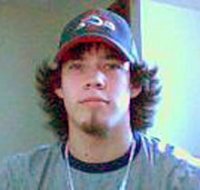 Several media reports called McLean’s killing unprecedented – an unspeakable, random attack the likes of which has never been seen in Canada. “There are just too many parallels,” he says. “I can’t say there’s definite connection, but there are just too many coincidences. They reported their misgivings to police, who took Swift Runner to his family campground in the woods northeast of Edmonton, where they made a horrific discovery – the site was littered with bones, bits of flesh and hair. Some accounts claim that the larger bones had even been snapped and the marrow sucked out. Thanks to TC for the update link. Despite humanity's progress, cannibalism just doesn't seem to go away.